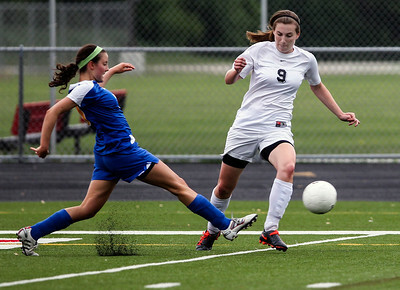 Sarah Nader - snader@shawmedia.com Prairie Ridge's Erin Ginsberg (center) brings the ball down field during the second half of Tuesday's IHSA Class 2A Barrington Supersectional against Lake Forest in Barrington May 28, 2013. 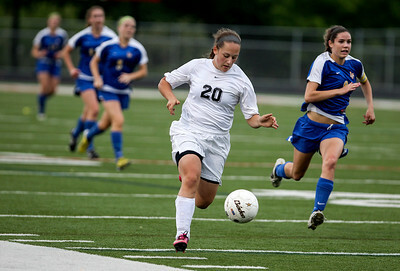 Prairie Ridge won, 1-0. 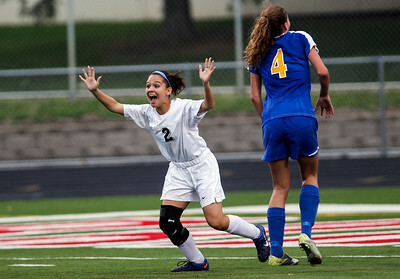 Sarah Nader - snader@shawmedia.com Prairie Ridge's Larissa Dooley celebrates after scoring Prairie Ridges only goal during the second half of Tuesday's IHSA Class 2A Barrington Supersectional against Lake Forest in Barrington May 28, 2013. Prairie Ridge won, 1-0. 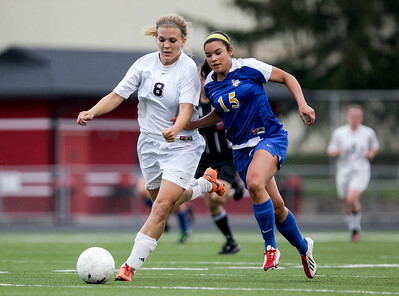 Sarah Nader - snader@shawmedia.com Prairie Ridge's Becca Hoklas (left) heads the ball during the first half of Tuesday's IHSA Class 2A Barrington Supersectional against Lake Forest in Barrington May 28, 2013. Prairie Ridge won, 1-0. Sarah Nader - snader@shawmedia.com Prairie Ridge's Kelsey Bear (left) and Becca Hoklas celebrate after Prairie Ridge won Tuesday's IHSA Class 2A Barrington Supersectional against Lake Forest in Barrington May 28, 2013. Prairie Ridge won, 1-0. 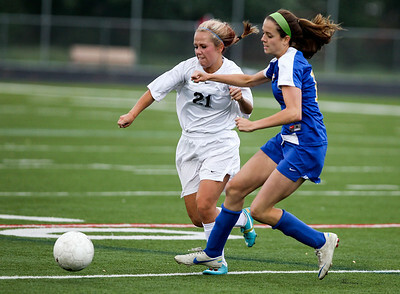 Sarah Nader - snader@shawmedia.com Lake Forest's Brooke Green (left) and Prairie Ridge's Ali Fanning fight for control of the ball during the first half of Tuesday's IHSA Class 2A Barrington Supersectional in Barrington May 28, 2013. Prairie Ridge won, 1-0. 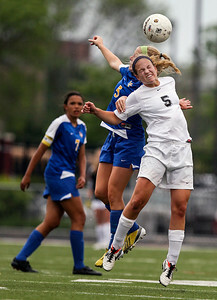 Sarah Nader - snader@shawmedia.com Lake Forest's Dani Loeger (left) tries to steal the ball from Prairie Ridge's Kelsey Bear during the first half of Tuesday's IHSA Class 2A Barrington Supersectional in Barrington May 28, 2013. Prairie Ridge won, 1-0. Sarah Nader - snader@shawmedia.com Prairie Ridge's Jordan Reitz (left) is guarded by Lake Forest's Adrian Walker during the first half of Tuesday's IHSA Class 2A Barrington Supersectional in Barrington May 28, 2013. Prairie Ridge won, 1-0. 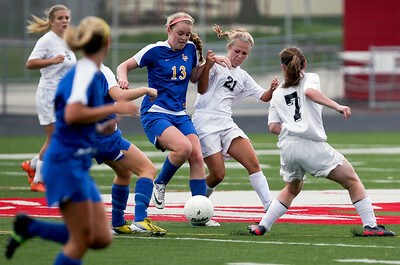 Sarah Nader - snader@shawmedia.com Praire Ridge's Ali Fanning (left) and Lake Forest's Mackenzie Mick fight for control of the ball during the second half of Tuesday's IHSA Class 2A Barrington Supersectional in Barrington May 28, 2013. Prairie Ridge won, 1-0. 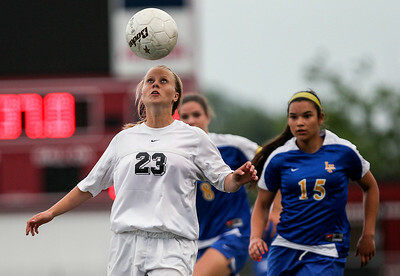 Sarah Nader - snader@shawmedia.com Lake Forest's Paige Bourne (left) and Prairie Ridge's Cassie Warton head the ball during the second half of Tuesday's IHSA Class 2A Barrington Supersectional in Barrington May 28, 2013. Prairie Ridge won, 1-0. Sarah Nader - snader@shawmedia.com The team crowds around Prairie Ridge's Larissa Dooley (center) after she scored during the second half of Tuesday's IHSA Class 2A Barrington Supersectional against Lake Forest in Barrington May 28, 2013. Prairie Ridge won, 1-0. 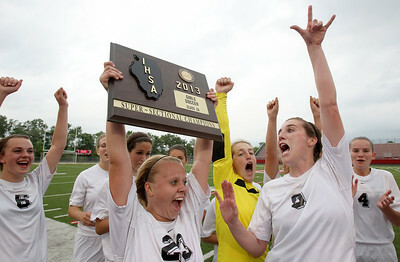 Sarah Nader - snader@shawmedia.com Prairie Ridge's Becca Hoklas carries the teams supersectional plaque after the team won Tuesday's IHSA Class 2A Barrington Supersectional against Lake Forest in Barrington May 28, 2013. Prairie Ridge won, 1-0. 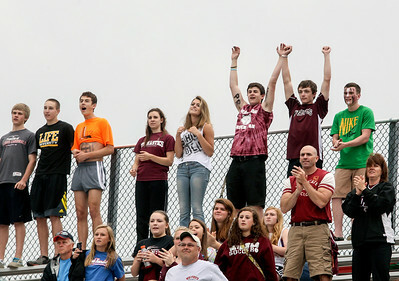 Sarah Nader - snader@shawmedia.com Fans cheer after Prairie Ridge won Tuesday's IHSA Class 2A Barrington Supersectional against Lake Forest in Barrington May 28, 2013. Prairie Ridge won, 1-0. 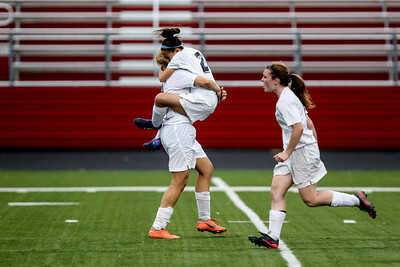 Sarah Nader - snader@shawmedia.com Prairie Ridge's Larissa Dooley (center) jumped in a teammates arms after scoring during the second half of Tuesday's IHSA Class 2A Barrington Supersectional against Lake Forest in Barrington May 28, 2013. Prairie Ridge won, 1-0. 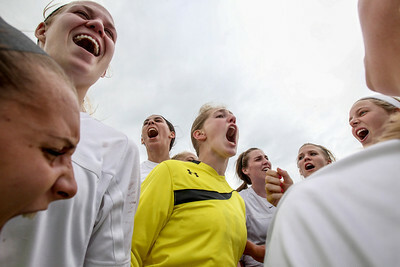 Sarah Nader - snader@shawmedia.com The Prairie Ridge soccer team celebrates after winning Tuesday's IHSA Class 2A Barrington Supersectional against Lake Forest in Barrington May 28, 2013. Prairie Ridge won, 1-0. Prairie Ridge's Larissa Dooley (center) jumped in a teammates arms after scoring during the second half of Tuesday's IHSA Class 2A Barrington Supersectional against Lake Forest in Barrington May 28, 2013. Prairie Ridge won, 1-0.